Be the first to share your favorite memory, photo or story of Sarah . This memorial page is dedicated for family, friends and future generations to celebrate the life of their loved one. Sarah is survived by her husband of 24 years, John McDavid; two daughters and sons-in-law, Polly and Joe McGlone of Olive Hill, Kentucky, and Missie and Bob King of Olive Hill, Kentucky; six grandchildren; one great grandchild; one brother, Willie and Jane Meade of Beaver, Ohio; and four sisters and brothers-in-law, Rissie and John Tackett and Darlene and Ken Tackett, all of Beaver, Ohio, Della and Bob Cummings of Cleveland, Ohio, and Linda Mae Mitchel of McDermott, Ohio. She also leaves many other family members and friends who will sadly miss her. Funeral services will be held at 1 p.m. Monday, April 1, 2019, at Globe Funeral Chapel in Olive Hill, Kentucky, with Brother Tom Pfeifer officiating. Burial will follow in the McGlone Family Cemetery in Olive Hill, Kentucky. 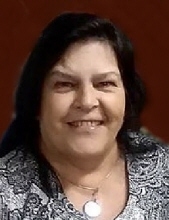 Friends may visit from 11 a.m. to 1 p.m. Monday, April 1, 2019, at Globe Funeral Chapel, 17277 West Highway US 60, Olive Hill, Kentucky 41164. "Email Address" would like to share the life celebration of Sarah Meade McDavid. Click on the "link" to go to share a favorite memory or leave a condolence message for the family.